The first of the summer’s heat waves is here and – in the pursuit of that yearly-yearned for seasonal honed bod – what worse a thought than getting sweaty in a stuffy gym? The stuff of nightmares. Even private Central London members’ club BXR – a top-end Marylebone boxing club with a champion-making oriented mindset – realises this. Instead, think outside the box (certainly outside the building) and head to the roof this July. 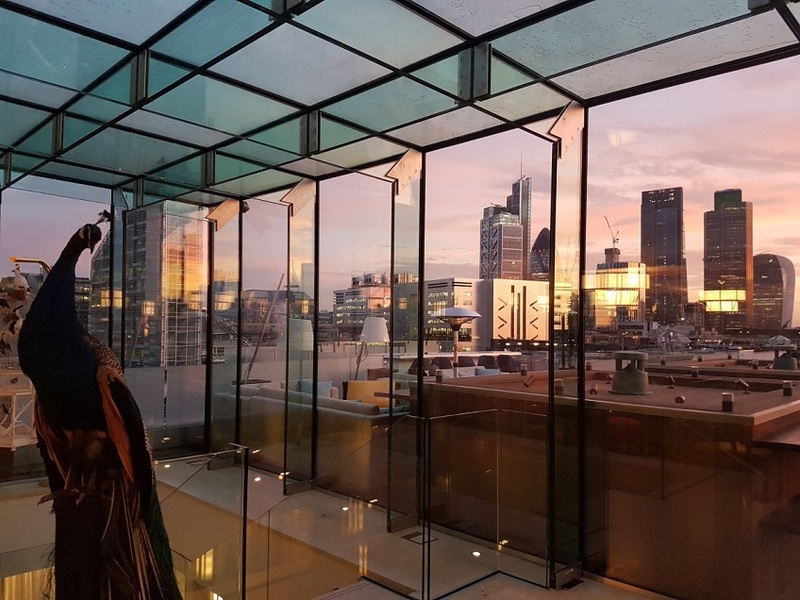 BXR is taking part in the RooFIT Summer Series that has been taking place at the Aviary Hotel since June (beginning with TriYoga), offering rooftop morning training sessions en plein air. This month, on Thursday 19th and Friday 20th July (as well as 26th & 27th July), there is a veritable BXR Takeover at the ten-storey Aviary, classes running from 7.30am until 8.15am. And to discuss BXR means to discuss SWEAT. A highly athletic style of training, the classes focus on “strength and conditioning, skills, cardio and mobility.” The music will be high-energy and the movements incorporated from boxing, ab drills, and other bodyweight exercises. Step away from the spinning class and head to the City heights to get your gloves on and your aggression out. Tickets can be purchased Early Bird at a very reasonable £15 (or £25 on the day) and both are inclusive of an optional 50% off an Aviary breakfast afterwards (though this must be booked in advance), together with the use of the showers in the hotel spa. There is also included a PRESS juice and a “goodie bag” promoting sponsoring brands’ involvement. Sounds okay to us! In addition enjoy a pre-workout, sunny early morning walk to the renowned Aviary Hotel, but minimal steps from both Old Street and Moorgate stations and situated within Finsbury Square. Winner of a Certificate of Excellence this year, the breakfast menu suits most appetites: a Soft White Herb Omelette for instance, Avocado on Toast with Smoked Bacon and Chilli, or a very restrained Coconut and Goji Berry Bar perhaps… There really is something for a range of tastebuds and dietary needs. And hunger levels will be peaking after a BXR session. Caffeine, too, comes in a decadent range of coffee, black, green, and even white tea forms.